DOVE is known as the ''Church Beyond Walls''. Our desire is to nurture the faith of those worshipping here, while also seeking ways to show God's love to the community at large. If you are looking for a warm and friendly small church with a passion for the Lord Jesus and His Word and compassion for people, then you’ll enjoy it here at Immanuel. 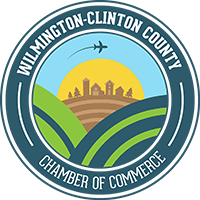 All are welcome at Wilmington Friends Meeting! We are a community of believers,united in our common purpose... to be and make disciples of Jesus Christ.